We’ve seen many great PC mods for Grand Theft Auto V, but one in particular captured the headlines lately. 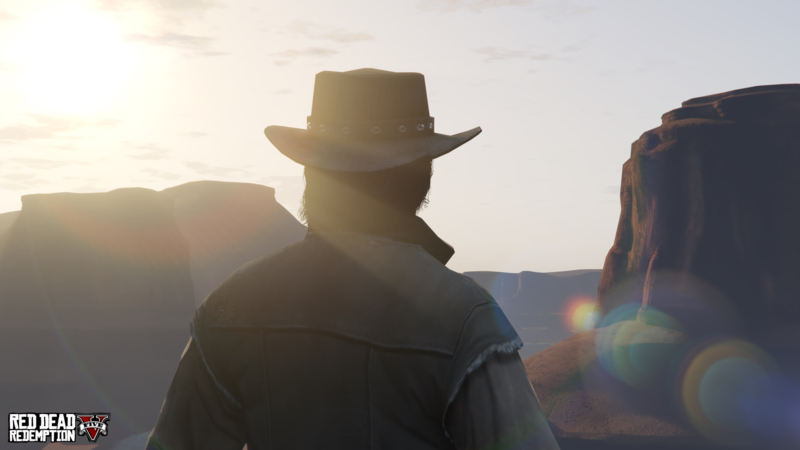 The folks at .White Team were about to finalize three years of work to port the Xbox 360 version of Red Dead Redemption to Grand Theft Auto V on PC. I know this is a hard pill to swallow, but as you may have noticed we did get contacted and we sadly have to say we are stopping this project. So thanks guys, we were all so happy to see this, but it isn’t going to happen, sorry. He then clarified that this wasn’t going to be a full port in any case. Undertaking this sort of a project with additional content ported over was never feasible, we were only gonna get a way to convert the map with both legal copies of each game and some custom scripted additional content, there was never any intention or mention to either port a story mode over from RDR to V.
Of course, this is probably just Rockstar and/or Take-Two’s corporate side ensuring that Red Dead Redemption is played on the intended platforms. However, if only they had ported the game on PC this project wouldn’t even have any reason to exist. For now, the only way to play Red Dead Redemption on PC is still via PlayStation Now’s streaming service. With Red Dead Redemption 2 scheduled to launch this Fall for PlayStation 4 and Xbox One, the question is once again whether PC gamers will have to sit this one out too. Still, Mr. Leisurewear added that he might try again in a few years once the hype has died down. You can check another version of the trailer below (thought that might also be eventually removed by Take-Two) as well as the original project FAQ. A: Red Dead Redemption V, or ‘RDRV’, is a modification for Grand Theft Auto V. Our goal is to bring you the full map with additional content which will be unveiled later on. Q: Will there be Multiplayer? A: This mod is for Single Player usage only. We do not condone the use of this mod in GTA Online, nor third party multiplayer clients. Q: Can I help develop this mod? A: Sure! We are always open to expand our team. We are mostly looking for programmers who are able to help us reverse engineer the file formats. We are also looking for scripters who are able to remake any of the game’s original content over to GTAV, think minigames and certain mechanics such as Dead Eye Targeting. If you have experience creating normal, specular and height maps, you are also welcome. When possible, we will also need converters for Vehicles, characters and animals. Q: How far is the mod in development? A: The framework is all there, we are constantly fine tuning the methods we use to convert the game. .White aims to get as close to the original as possible. Out of all the other Rage games released before GTA5, RDR is the toughest one to crack, so please be patient. Q: When can we expect a release? A: We aim to bring you the first beta sometime this Summer. Stay tuned for the exact date! Q: Can we expect any improvements over the original game? A: Mainly only graphical improvements. Other than that, we are using all the shaders that are made available to us. We are remaking a large portion of the normal maps as they are half the size on the consoles. We will also be adding Parallax Occlusion Mapping and Tessaslation where applicable. Q: Are you converting the Xbox 360 or PS3 version of the game? Q: What’s the download size of this mod? Q: When can we expect more screenshots and a trailer? A: As soon as possible! We want to make sure to have everything in place without missing portions of the map before showing it off.